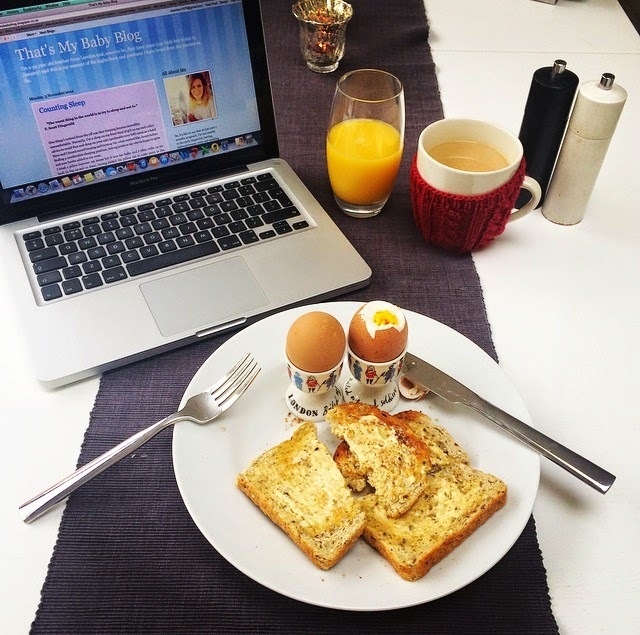 It's a damp Sunday morning and, as I'm sitting here munching on my blogging breakfast, I have been trying to think of useful things to do that will avoid me having to leave the house. So, I've decided a 'spring' clean is it! If you watch any style programmes or read any fashion magazines, they all encourage you to invest in key pieces, but that's quite difficult when you're pregnant and don't want to find yourself wasting money on things that will only fit you for a few months and then you have to work out what to pair them with! I think the best place to start is with what you already have. I know it seems obvious, but for weeks I was rooting around in my wardrobe frantically trying to find things that fit me for work, play and lounging. I have the best intentions and tidy my clothes to shop perfection every now and then, but as I rummage through this soon disappears and I find myself pulling things out in a panic. Not this time! As I have expanded, I've sifted through and siphoned off clothes that are too snug, putting them in a suitcase ready for next year. Now, by week 33, my cupboards are a little like Miss Hubbard's but I'm finding it a great deal easier to put together an outfit in the morning/evening and I have (for now at least) divided it into sections so that I can easily locate what is for work through my bleary eyes first thing in the morning. One of the outfit pics that I keep on my phone - hat (just seen), strictly for breeze-free days only! I will definitely be packing this outfit in my overnight bag as we travel around visiting family at Christmas. 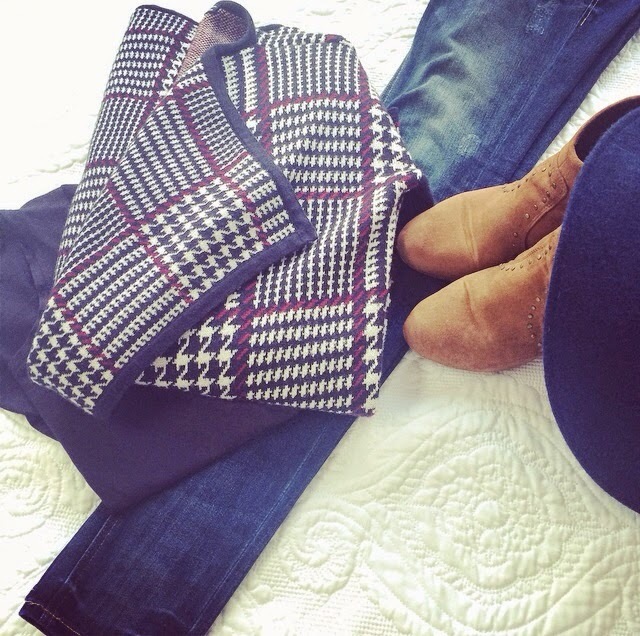 The houndstooth Tommy Hilfiger jacket is going to be my festive jumper! Are you going away on holiday or for the weekend? You might think it's excessive, but a model friend of mine gave me an amazing tip a number of years ago and I've been doing it ever since (much to my husband's amusement and, secret, relief). When she's going away on location for a few days, she sets out each outfit on the bed - shoes, bags, jewellery, everything - and takes a snap of them. I promise, it will not only speed up getting ready while you're away (hence my husband's relief), but it revolutionises the way you pack. Trust me, although you might be giggling while reading this, it has helped me survive many frustrating days of pregnancy when the last thing you want to be doing is shoe-horning yourself into one outfit after another trying to work out if 'it works' with your ever-growing bump! With Christmas jingling its way closer, I will be relying on it once more when we pack up the car to visit relatives. I imagine it will prove a life-saver when trying to juggle getting ready with a little one come January too!